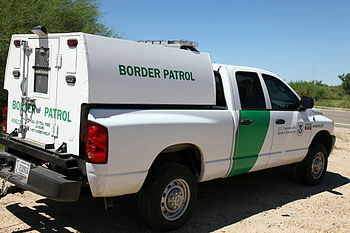 United States Border Patrol Dodge Ram at a checkpoint near Tucson, Arizona. 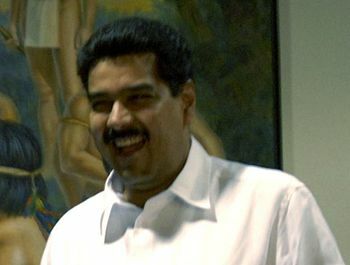 Sayago was joined by an estimated 54,000 other Venezuelans suffering under the socialist regime of her country’s Marxist president, Nicolas Maduro (shown). The results were predictable, and catastrophic. In December 2014 citizens of Venezuela paid 2,632 bolivars for a pound of meat. 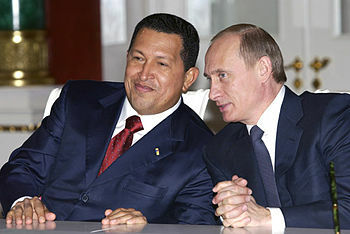 A year later they paid 14,138 bolivars, a 537-percent increase. They paid 3,066 bolivars for a supply of fruits and vegetables a year ago; last month they paid 12,118 bolivars, a 395-percent increase. For milk and cheese, prices increased 371 percent, from 2,084 bolivars to 7,735. For fish they paid 1,408 bolivars a year ago; a year later the price of fish jumped to 5,940, an increase of 422 percent. Fats and oils: 335 bolivars to 1,340, an increase of 400 percent. Non-alcoholic beverages were 409 bolivars a year ago; today, 1,123 bolivars, a 275-percent increase. And it’s about time, too! The Journal is just a little late to notice what’s happening, and has been happening, over there for at least the last two years. I thank Gary North for alerting me to this. It’s far more than just historical coincidence. The announcement that China is going to build the world’s tallest building is a strong indicator that it is going into (if it hasn’t already gone into) recession. Tall buildings signal the top. This 4th of July will mark the groundbreaking of the Freedom Tower at ground zero of the World Trade Center. The design of the building calls for a height of 1,776 symbolic feet, which will capture the title of world’s tallest building when it is completed in late 2008 or 2009. Groundbreakings, opening ceremonies, and certainly July 4th are all causes for celebration, but the Freedom Tower may be a signal that something much more sinister is afoot. For more than a century there has been a correlation between the building of the world’s tallest building and severe economic downturns. bear market; the economy goes into recession or worse. The building is completed. The economic turmoil that ensues is either severe, drawn out, or as in the case of the Great Depression, both. The Panic of 1907 which helped bring about the Federal Reserve Act was signaled by the building of the 612 foot Singer Building completed in 1908 and the 700 foot Metropolitan Life completed in 1909. There was only a short, sharp downturn in 1913 when the 792 foot Woolworth building was completed, as the establishment of the Fed and WWI intervened. The Great Depression was signaled by a series of three record-breaking skyscrapers. The 927 foot Wall Street building was completed in 1929; the 1046 foot Chrysler Building was completed in 1930; and the 1250 foot Empire State Building was completed in 1931. The Great Depression helped bring on Roosevelt’s New Deal. The 1970s were characterized by high rates of unemployment and inflation. This “stagflation” was signaled by the building of the 1368 foot high World Trade Towers which were completed in 1972 and 1973. The Sears Tower set a new record at 1450 feet when it was completed in 1974. The Chinese economy, like ours, has been running on paper money for years and giving out false and misleading signals to investors. They have made the mistake which I characterize as “straight line thinking in a curvilinear world.” Here’s a link to the announcement that not only are they going to build the world’s tallest building, they’re promising to do it in 90 days! Stay tuned and watch for the coming recession in China. 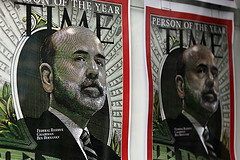 Hyperinflation in Iran – is US Next? 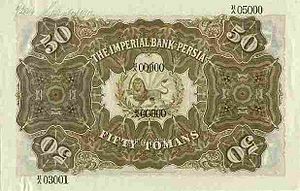 Once again I am indebted to Gary North for an article to his members only for an insightful discussion of the hyperinflation going on in Iran. Indirectly, he paints the picture for what will inevitably happen here. For the record, I pay him $9.95 a month for his daily insights, and I’m glad to do it. I think it’s the bargain of the year. He has thousands of subscribers, so it works well for him too. I recommend that you consider signing up as well. How he writes four insightful articles every day is beyond my comprehension.